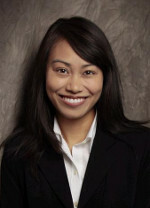 Marijoyce Leynes, DDS, MSD, attended dental school at Marquette University, and completed her general residency with the Navy, and Oral Medicine training at University of Washington School of Dentistry. Currently she has an Oral Medicine private practice in Bellingham, WA, is a Navy reservist, and is a part-time faculty member at the University of Washington Oral Medicine Clinical Services in Seattle. 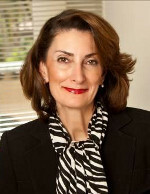 In her private practice, Dr. Leynes receives patient referrals from the medical and dental community. Some of the procedures that Dr. Leynes performs in her private practice include biopsies, trigger point injections, acupuncture, saliva studies, orofacial pain and mucosal lesion assessments, oral management of cancer treatment complications, and fabricating oral sleep appliances. She also enjoys doing in office or phone consultations with colleagues. Having a dialogue with patients about their oral and overall health is the most rewarding aspect of her work. Education is a big part of Oral Medicine, and she also finds that her patients play a vital role in educating her. Diligence and believing that your abilities are important and valuable are qualities that are essential to succeed in an Oral Medicine private practice. Dr. Leynes also believes that one must not be afraid to ask for help and to get out there to meet fellow clinicians. Cesar Migliorati, DDS, MS, PhD, graduated from University of Sao Paulo, College of Dentistry and completed his Oral Medicine training at University of California San Francisco School of Dentistry. He is currently a professor and Chair of the Department of Diagnostic Sciences and Oral Medicine at the University of Tennessee Health Science Center College of Dentistry, in Memphis. As an educator, he follows his calling to open the opportunity for young students and dentists to find fulfillment as an Oral Medicine provider. Dr. Migliorati acts as an ambassador and role model for Oral Medicine and is always open to share the passion that he has. Students that he identifies with an interest in Oral Medicine usually have drive and willingness to sacrifice, as well as the desire to study and learn. 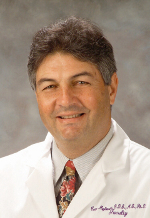 Dr. Migliorati has been involved with several organizations, both dental and medical. He collaborates with colleagues around the world on research projects, as well as writing papers and guidelines. He has been a consultant for different companies in the pharmaceutical and dental industries. Dr. Migliorati is the chair of the Bone Complications Study Group of the Multinational Association of Supportive Care in Cancer and the International Society of Oral Oncology (MASCC/ISOO). This group has recently completed a program that developed a video conference with oncologists to discuss the importance of maintaining bone health in cancer patients. He is also involved with the American Academy of Oral Medicine in several activities that allow him to stay current with what goes on in the Academy, to be in constant contact with his peers, and to participate in the annual meeting. Samson Ng, BSc, MS, DMD, has a private practice in Oral Medicine and oral pathology in the cities of Vancouver and Abbotsford, BC, Canada. Dr. Ng is board certified in Oral Medicine and oral pathology in the US and Canada after completing post-graduate training program at the University of British Columbia in 2007. A typical day at his practice is to see 15-20 patients per day, diagnosing and treating inflammatory and pre-cancer oral mucosal conditions, TMJ problems and orofacial pain, analysis of surgical specimens and radiographs (x-rays), and legal independent examinations for medical and dental cases. Patients come through his practice on a fee-for-service basis. He says that, in order to be successful in such a private practice, that one must spend enough time with their patients, and spend time with their referral sources explaining what they can offer to their patients. 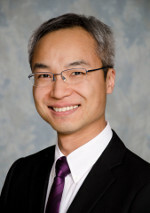 Dr. Ng says that his favorite aspects of his practice are doing minor surgical procedures and being able to explain complex problems to his patients. He maintains close relationships with his referring doctors, which include neurologists, GI doctors, pathologists, ENT specialists, and his dental colleagues and former classmates. He has always loved Oral Medicine, and cites that the most rewarding aspect of his job is the fact that patients trust him and travel long distances to see him. Mahvash Navazesh, DMD, completed both her dental education and Oral Medicine training at University of Pennsylvania, School of Dental Medicine. She is currently a professor in Diagnostic Sciences and Associate Dean of Academic Affairs and Student Life at Ostrow School of Dentistry of University of Southern California. Dr. Navazesh’s time is devoted to teaching, research, service, and patient care activities. Her teaching activities include facilitating Problem Based Learning (PBL) cases for pre-doctoral dental students, small group learning with the residents in different specialty programs in general and in Oral Medicine and orofacial pain residency programs in particular. She sees patients in the school’s intramural private practice and the Oral Medicine and orofacial pain residents rotate through her private practice. Dr. Navazesh serves on multiple committees and is accountable for the professional growth and development of her students and faculty members. Dr. Navazesh has spent the last 30 years researching the role of saliva in health and disease. Her previous publications have included criteria for the definition, diagnosis and assessment of salivary gland hypofunction and xerostomia. More recently her focus has been on the impact of Human Immune deficiency Virus (HIV) Infection and Highly Active Anti-Retroviral Therapy on the salivary gland function. Currently her clinical research is focused on the predictive value of saliva in risk assessment for dental caries. Eric Stoopler, DMD, is Associate Professor of Oral Medicine and director of the postdoctoral Oral Medicine training program at the University of Pennsylvania School of Dental Medicine. 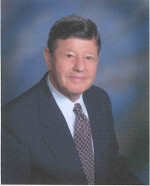 Dr. Stoopler completed both dental school and his post graduate training at that same institution. As a faculty member in a dental school and academic medical center, his day-to-day activities include teaching pre- and post-doctoral dental and medical students, with courses for dental students in internal medicine, Oral Medicine, geriatrics, implant dentistry and biochemistry. Dr. Stoopler finds most rewarding being able to collaborative with numerous dental and medical colleagues, the opportunity to educate future generations of health care professionals, and be able to treat the wide variety of Oral Medicine conditions seen clinically. Mahnaz Fatazadeh, BSc, DMD, MSD, is Associate Professor of Oral Medicine and director of the pre-doctoral and post-doctoral Oral Medicine training programs at the University of Medicine and Dentistry of New Jersey (UMDNJ). Dr. Fatahzadeh completed dental school at the University of British Columbia, and an Oral Medicine fellowship at UMDNJ. 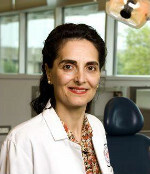 Dr. Fatazadeh engages in a variety of activities at the University Hospital and dental and medical schools, which include: treating patients at the faculty practice, teaching pre-doctoral and post-doctoral students, supervising general practice residents at the hospital, conducting clinical research, and attending to Oral Medicine consults at the dental school and hospital. In addition to teaching dental students and residents, she also teaches medical students, students in the physician assistant program, and graduate student courses in oral epidemiology, systemic pathology and tobacco cessation courses. 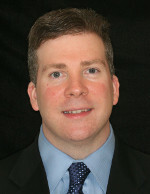 Michael Brennan, DDS, MHS, completed his dental training at University of Iowa and subsequently completed his Oral Medicine training at National Institutes of Health, in Bethesda, MD, and obtained a Masters in Health Sciences degree from Duke University. 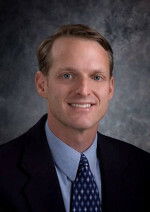 He is currently the Oral Medicine residency director at Carolinas Medical Center in Charlotte, NC. He treats Oral Medicine patients (mucosal lesions, salivary dysfunction and facial pain) at Carolinas Center for Oral Health - an outpatient office that is part of Carolinas HealthCare System for approximately 30% of his time. Clinical research takes up another 30% of his time, followed by teaching and administration, each comprising about 20%. Dr. Brennan and the colleagues in his department are involved in four main areas of research - management of oral complications of cancer therapy, role of the oral cavity with bacteremia and infective endocarditis, management of medically complex patients and Sjögren’s syndrome. He lectures dental and Oral Medicine residents, supervises them in the hospital dental clinic and outpatient office, and does consults on inpatients with residents. He is the current chair of the Institutional Review Board (IRB) for Carolinas HealthCare System, President of International Society of Oral Oncology (ISOO), and a board member of the National Sjögren’s Syndrome Foundation. Craig Miller, DMD, MS, is Professor of Oral Medicine, Microbiology, Immunology and Molecular Genetics at the colleges of medicine and dentistry at the University of Kentucky. 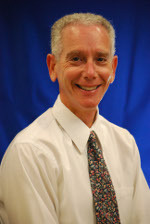 Dr. Miller completed post graduate training at the University of Texas Health Science Center at San Antonio. “Being a professor is the best job in the world,” says Dr. Miller. “You can teach and advise students, do scholarly activity, serve the (dental and medical) College, University and community, and educate the next generation.” He spends most of his time as a researcher and teacher of medical and dental students, directing a course entitled “Dental Management of the Medically Compromised Patient” and lecturing in many other courses ranging from Microbiology to Agriculture Technology, and mentoring students in research projects. Sol Silverman, Jr, MA, DDS, completed his dental degree and an Oral Medicine internship at University of California, San Francisco. He became a diplomate in the Academy of Oral Medicine in 1956. He has seen the growth and changes within Oral Medicine over that time. Dr. Silverman states that Oral Medicine grew from a group of New York dentists (primarily periodontists), who were interested in the interactions between medicine and dentistry in the 1940’s. The original name (Dental Medicine) was changed to Oral Medicine soon after because of the recognition that the mouth was a reflection of both oral and systemic abnormalities, as well as affecting general health and well-being. It has grown in stature and visibility through clinical and basic research over the decades and is taught in all dental schools, complemented by some approved graduate programs and an active Academy. This specialty is now global. Continuing education programs and publications are plentiful. His research has included numerous topics, with precancerous lesions (leukoplakia), cancer (diagnosis and complications of cancer treatment), and immunopathic diseases (diagnosis and management) being his major focuses.